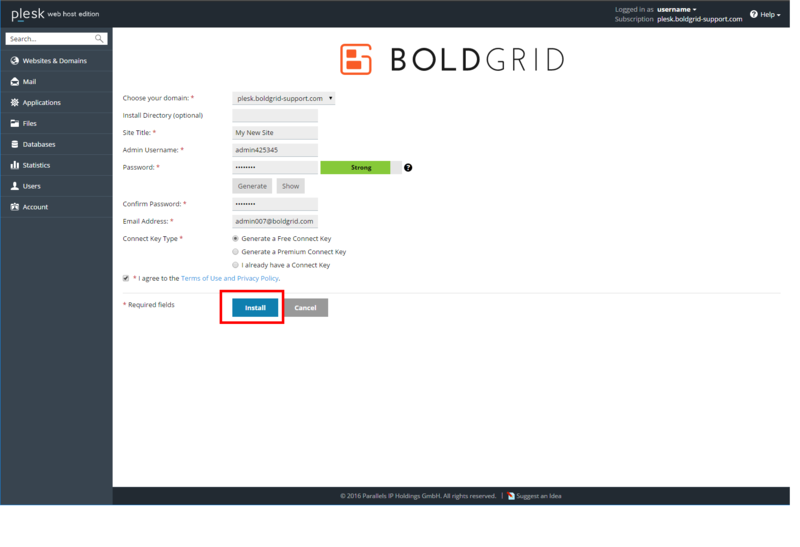 In this guide, we will demonstrate how to install BoldGrid from within your Plesk 12.5 Web Admin dashboard. 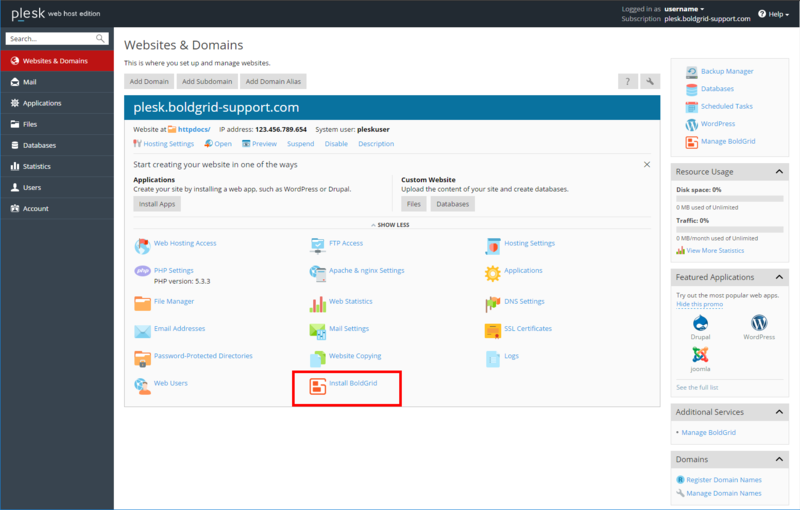 Log into your Plesk Web Admin interface. 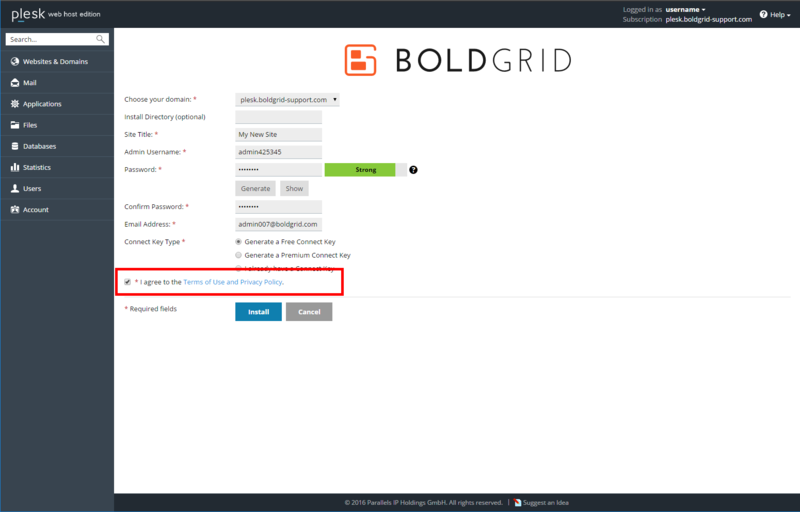 Click on the Install BoldGrid icon. Complete the installation settings form. Select the target domain from the dropdown. If you wish to install BoldGrid into a subfolder, enter the subfolder name here. If it is to be installed on the domain itself, leave it blank. Give your site a name. An admin name is created for you. You can either keep it or replace it with your own. Create a strong password. You can either enter your own or have one created by clicking the Generate button. Enter the same password as you created above. Enter an email address. This is where any notifications from the server will be sent. Select your Connect key type.